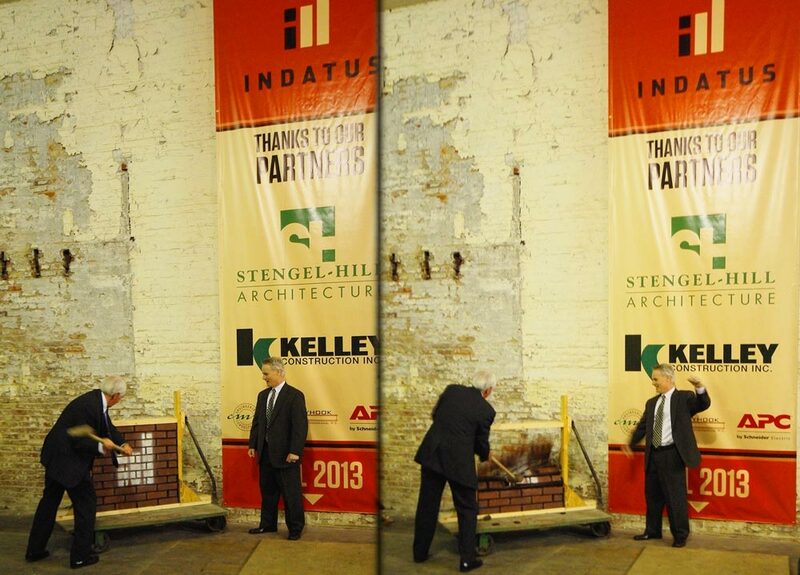 Kentucky Governor Steve Beshear spoke at the “Wall Breaking” ceremony which celebrated the start of the new Indatus Headquarters project in Louisville, KY. The ceremony took place at the building site at 118 East Main Street on December 18th, 2012. Joined with their sister company Mocura, CEO Dave Durik worked with a variety of local & regional entities, indcluding Louisville Metro Economic Development, City of Louisville Downtown Development Corporation, State and Federal Historic Tax Credits, and the Commonwealth of Kentucky, which helped get this project underway. Instead of a traditional “Ground Breaking” ceremony with shovel in dirt, Indatus improvised and went with a “Wall Breaking” ceremony to signal the start of the massive remodeling project.